This hand tied bouquet comes wrapped in pretty cellophane and is ready to be placed in your own vase. 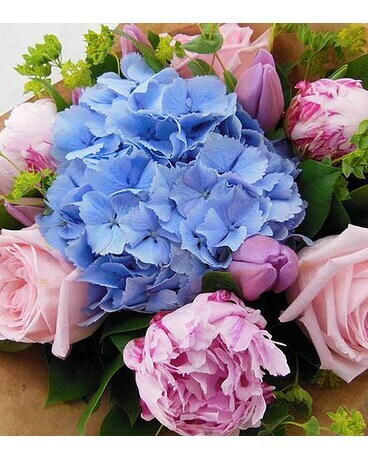 We love these soft and feminine flowers including hydrangea, peonies and roses. If peonies are unavailable we will make a suitable substitution.